Convert and burn your video files (avi,divx,wmv,mpeg, ...) to DVD disc. Then your videos can be played on any DVD player, Media Center or Home Cinema Set. Ripping DVD video for your iPhone, iPod, Creative Zen, Zune, PSP, Apple TV, Nokia, etc. Convert DVD video to MPEG, Xvid, MP4, DivX, AVI, MPEG, FLV, WMV, ASF, 3GP, 3G2, MOV, M4V, MPG. Convert video files for your iPhone, iPod, Zune, PSP, Apple TV, Creative Zen, Pocket PC, etc. Convert video formats including AVI, MP4, MPEG, WMV, XviD, H.264, DAT, VB, MOV, ASF and FLV. 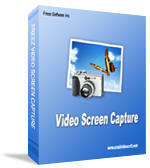 Screen capture and screen recording tool to record screen activities and sounds into standard AVI video files. Totally Free! No Spyware. No Adware. Convert batches of video to MP4 video files then you can enjoy them on your iPod including AVI to iPod, MPEG to iPod, WMV to iPod, ASF to iPod, MOV to iPod, RM to iPod, RMVB to iPod, DivX to iPod, Flv to iPod. For mobile phone users. Convert batches of video to 3gp, 3g2 formats to be played on mobile phones. Support most popular video formats including AVI, DivX, Xvid, MPEG 1/2/4, VOB, WMV, ASF, MP4, MOV, RM, RMVB, Flv, SWF. Best MKV Converter software download. Convert mkv video to any other format.